Now that summer is closing in on us, and the sun heats up, some of us might be worried about showing off our legs. The reason could of course be unsightly veins on the legs? Well here at Changes Clinic in Portsmouth we offer Vein Removal. 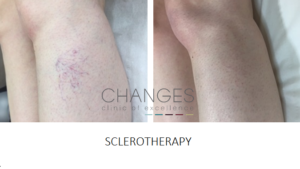 Microsclerotherapy is a procedure used for the removal of surface veins and spider veins. The technique involves a number of small injections using a very fine needle. 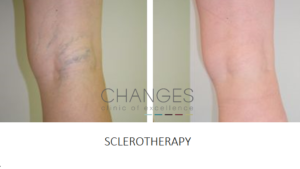 A sclerosing solution (Sclerovein*) is injected into the veins causing the natural non-stick lining to collapse and preventing blood flow through the vein. Blood is then directed back to the deeper venous system. In general, patients need several sessions to get the optimal result and quite often the best results are only seen after a minimum of two to three months. So now is the perfect time to start the vein removal process, just in time for summer. 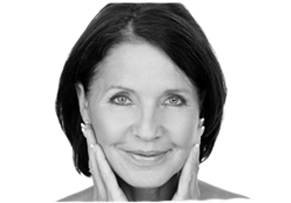 Your treatment session will involve numerous small injections over a period of 30 minutes, during which as many small veins as possible will be treated. At the end of the treatment session you will be required to wear Class 2 Medical Compression Stockings for 3 days. The stockings may be removed for showering. It is not necessary to wear the stockings overnight although you may wish to if you find it more comfortable.